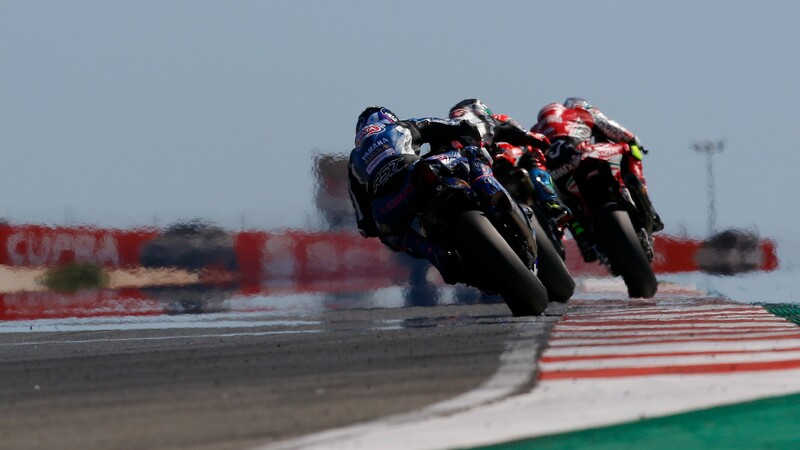 Autodromo Internacional do Algarve prepares to host the tenth round of the MOTUL FIM Superbike World Championship this weekend, and with a revised time schedule throughout the weekend, we want to make sure you don’t miss out on a minute of the action. Preparing for a roller-coaster weekend of racing action, Friday kicks off with free practice as bikes take to the track at 09:00LT (+1 GMT) for European Superstock 1000 Championship FP1, ahead of WorldSBK bikes roaring onto to the track at 09:45LT. Keeping your Friday full of bike racing action, you will be treated to action on track until 17.30, as WorldSSP300 end the day with FP2. Saturday is more action packed, beginning at 08:45LT with WorldSBK FP4, preparing for Superpole action beginning at 10:30. WorldSSP300 Superpole follows at 11:30, before riders, fans and teams gear up for race one at 13:00. But battles don’t end there, with WorldSSP Superpole beginning at 14:00 and STK1000 Qualifying kicking off at 15:00 to end the day. Sunday’s all new timetable will welcome STK1000 bikes lining up for racing action first at 11:45 – where we could see our first champion crowned. WorldSSP300 prepares to make history at 12:45, in what could be a sensational on track battle, ahead of WorldSSP at 13:45. It will be the World Superbike class who end the day at 15:15, as we sign off the weekend in style. Follow all this sensational action throughout the Nolan Portuguese Round from 14th – 16th September, all with the WorldSBK VideoPass.